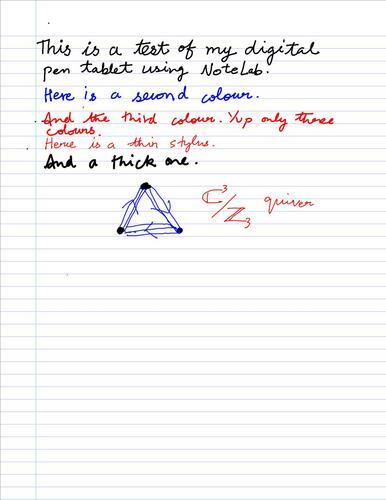 I purchased an 8x6 iBall Digital Pen Tablet recently. It came with drivers for both Windows and Mac. However, I had problems with the Mac OSX driver — it worked on one iMac and didn't work on a similar iMac and my MacBook. Thanks to a pointer from one of my students, I chose to use the Genius 8x6 MousePen driver for Mac OSX and it started working. The driver which I chose is this one — note that neither do I guarantee anything nor am I responsible for the external site! By the way, it should work with Linux as well. 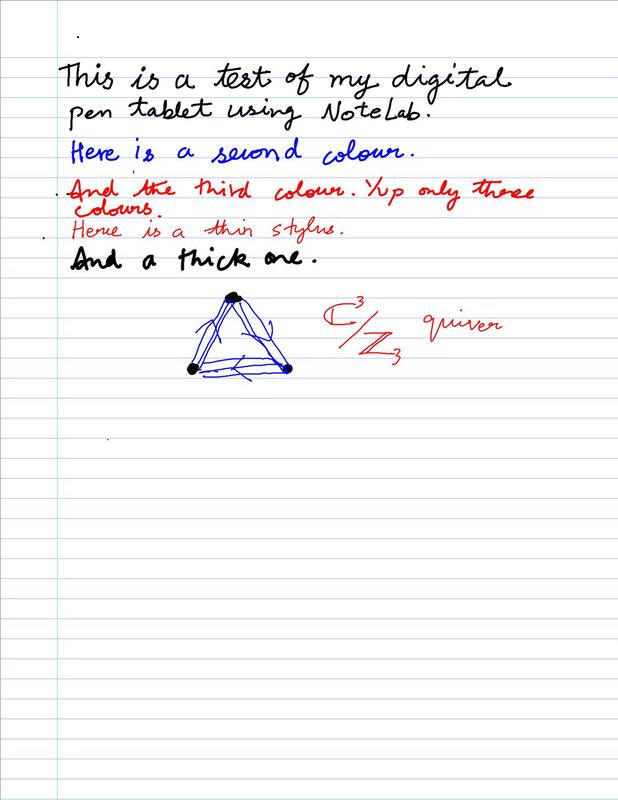 I plan on using the Pen Tablet with NoteLab for some of my lectures. Let us see how it goes. Here is my first sample page — it is clear that I need more practice.